Hampden House has a fantastic selection of meeting rooms to hire by the hour or day. 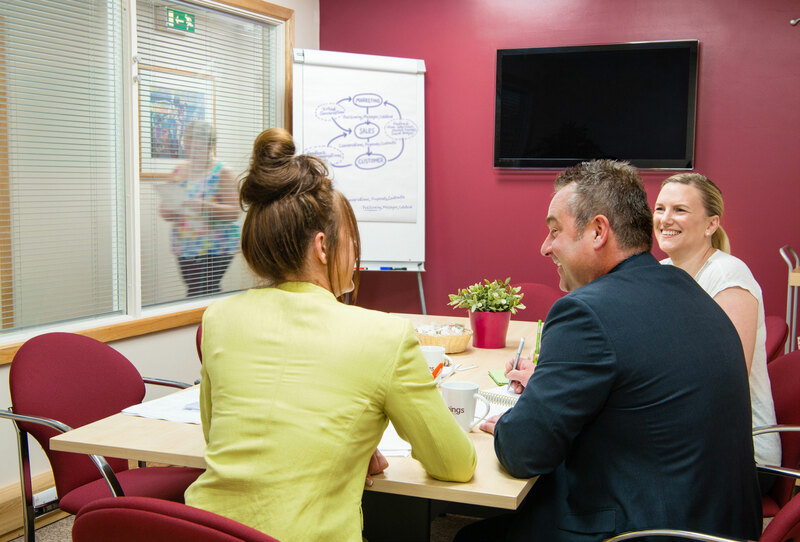 Rooms can hold from 2 to 50 people, making it the perfect location for meetings, training days or seminars. Our friendly reception team will welcome your visitors and set you up with everything you need to ensure your meetings run smoothly. Hampden House is centrally located on Monument Park in Chalgrove, Oxfordshire, just south of Oxford and close to the M40. Whether you need a quiet corner for a one-to-one, or want to shout about your latest venture to a bigger audience, we have you covered, with rooms to suit all your needs.